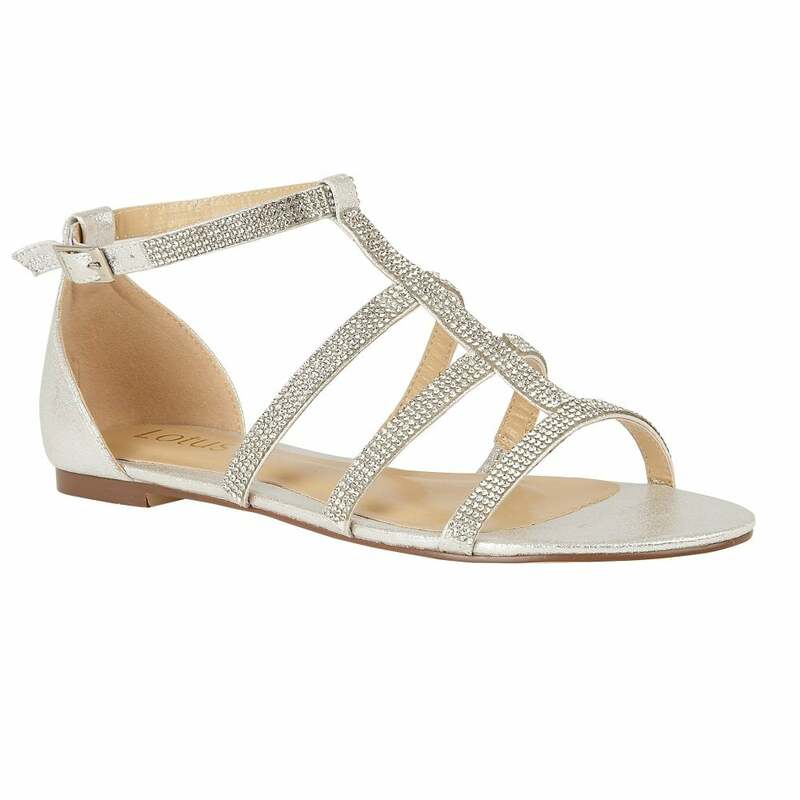 Sparkly, smart and perfect for wearing come sun down on holiday is the Lotus Zelina sandal. This open toe, strappy silver sandal is accentuated by a flurry of diamantes to make it one superbly fancy, flat sandal! Zelina in silver is also the perfect choice of bridal footwear for those getting married on tropical shores.